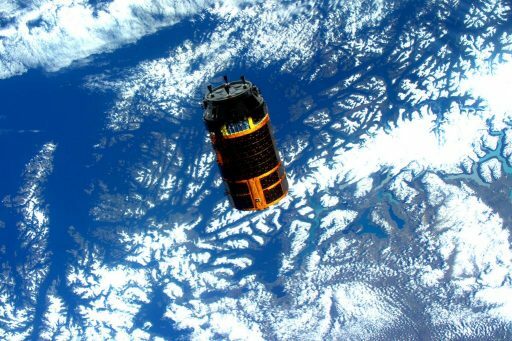 The HTV-5 spacecraft brought to an end a six- week mission into space on Tuesday, burning up in the atmosphere after making a targeted deorbit maneuver. 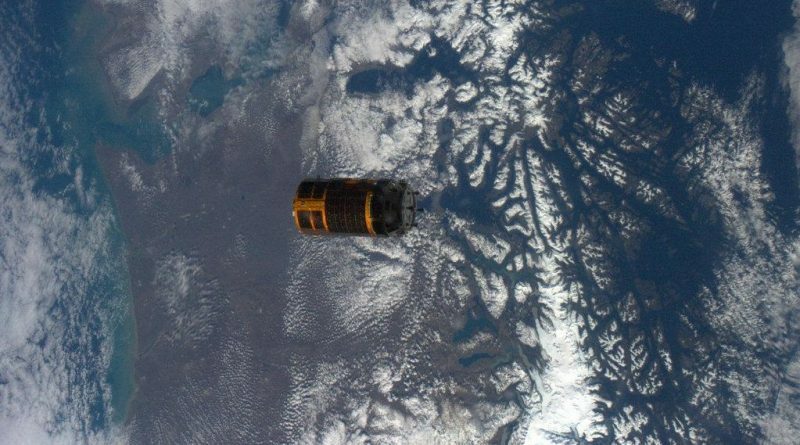 Over the course of its six weeks in space, Kounotori 5 delivered over six metric tons of cargo to the Space Station and picked up trash and three no longer needed external payloads for a fiery disposal in the skies over the Pacific Ocean. HTV-5 departed the Space Station on Monday, one orbit later than initially planned due to a technical snag that required teams to stand down for the first release window and reconfigure the Station’s robotic arm that had returned an unexpected brake message. The second attempt was successful and HTV-5 was set free at 16:53 UTC on Monday and began to depart the Space Station by making an initial pair of separation maneuvers that enabled it to exit the ISS Keep Out Sphere. The 10-meter long spacecraft then conducted another pair of burns, the first at a distance of 300 meters and the second at a range of 5,000 meters to enter an independent orbit below that of the Space Station. A set of three deorbit maneuvers was on tap on Tuesday, the first two lowering the craft’s orbit even further so that the third burn could sufficiently decrease the perigee altitude of the orbit, targeting an entry location over a remote stretch of the Pacific Ocean. The Japan Aerospace Exploration Agency confirmed that re-entry occurred at the planned time of 20:33 UTC, closing out HTV’s fifth mission to ISS. 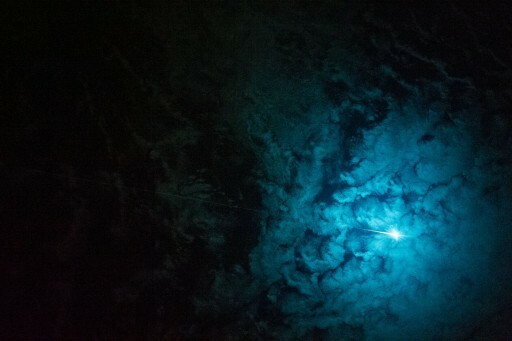 Encountering the dense atmosphere, HTV-5 broke apart and burned up to a large extent. Surviving debris impacted in a remote location in the Pacific Ocean between 20:47 and 21:13 UTC, away from land masses and shipping lanes. The next visiting vehicle inbound for a rendezvous with the Space Station, Progress M-29M, was moved to its Baikonur Launch Pad on Tuesday, sitting atop a Soyuz U rocket that will take the craft into orbit on Thursday for a six-hour rendezvous with the Space Station.